At PDX Cleaning, keeping things clean is our business. We work our hardest to keep our customers’ homes and offices looking their best. We guarantee that we provide the most attentive and reliable janitorial service in Portland, OR. That is what PDX Cleaning prides itself on. We are all about the details. PDX Cleaning’s janitorial servic for Vancouver, Washington residents and business owners is designed to keep your environment looking its absolute best at all times. We work hard to get the job right the first time so you can do your work in a clean, healthy office or home-office. We think about things other companies don’t, like fingerprints on stainless steel, vacuuming underneath rugs, and checking behind countertop items for cobwebs and spills. 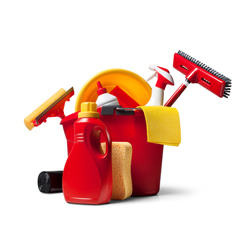 Did you know that having a cleaner work environment means fewer sick-days? Routine cleaning of carpets and surfaces reduces dust, bacteria, and even allergens that insects and rodents can leave behind. Depending on the air quality outdoors, you can even improve the indoor air quality by opening some doors or windows and inviting a cross-breeze in. With fresher air and cleaner surfaces, employees and clients alike will enjoy an easier space to breathe. Additionally, pathogens left on desks, handrails, doorknobs, etc. are eliminated through regular cleaning, leaving less opportunity for a cold or flu season to wipe-out your workforce. Can you clean my office after-hours? Yes, of course! It would be pretty inconvenient to have a cleaning service doing their job while you’re trying to do yours! PDX Cleaning is fully staffed and offers after-hours cleaning for busy office environments that need regular cleaning help. We use environmentally-friendly cleaning products and practices because it’s the right thing to do! Every product we use is safe and eco-friendly. Not only do they keep work environments safe from harmful chemicals, they also have minimal effects on the environment. With PDX Cleaning’s janitorial services, you can assure your employees that you have their health and safety in mind. Janitorial services includes carpets and floors, bathrooms, garbage removal, kitchens, dusting, wiping furniture down, and more. We can tailor our cleaning to fit whatever your office needs may be. When you want an affordable. trustworthy, hardworking janitorial service that covers all your office cleaning needs, PDX Cleaning is the company for you. PDX Cleaning handles a wide variety of cleaning and janitorial services, and we can set up a unique schedule that works for you and your business. We also offer different service packages so you can find one that fits your needs while not taking a bite out of your budget. Offices large and small trust PDX Cleaning for their janitorial service in Vancouver, Washington and the surrounding cities. With our satisfaction guarantee, you can’t go wrong. All our cleaning staff are cleared through a thorough background check and also have the training and experience to get the job done right. We hire only the best. All our staff have an eye for detail and love the inherent rewards in the work they do. As a locally-owned and operated business, we care about our neighbors in Vancouver. 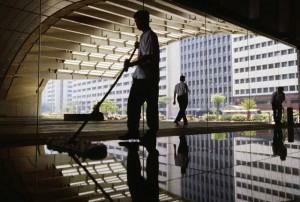 Our staff understands the janitorial needs of businesses. We thrive by helping you thrive. For the trusted name in local janitorial service, call PDX Cleaning today.